Juicy Couture has been gaining popularity in the fragrance market ever since the success of its original scent. Unfortunately, it seems that the brand has jumped on the bandwagon of low quality summer scents. Juicy Couture’s Couture La La is nothing but a fleeting suggestion of a creamy smoothie that becomes dirty within minutes before disappearing altogether in an hour. The fragrance is dominated by fruity notes, which are blended with citrus for a sweet and fresh opening. Apple, mandarin orange, and red currant comprise the topnotes. Orange blossom sustains the scent for about 1.5 hours, although any pleasantness may turn into an odour of dirty skin. Basenotes are practically undetectable. The sillage is also non-existent, never mind the trail – even the wearer may not detect it after a couple of minutes. For a cool spring or summer day, Couture La La is appropriate, as long as it is reapplied every 30 minutes to an hour. Couture La La is a scent for those that want a quick burst of fragrance, or those that need a pick-me-up in the morning without suffering from a no-fragrance workplace. It’s unbelievable that this fragrance is in an Eau de Parfum concentration! A waste. 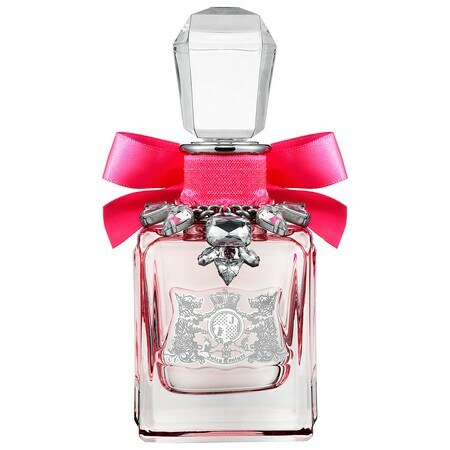 Juicy Couture Couture La La Eau de Parfum: 1.7oz (50ml) for C$80.00, 3.4oz (100ml) for C$105.00 @ Sephora.ca.